To register for these and other courses, please click here. CSRA RESA is excited to announce a unique opportunity for school and district leaders who focus on providing job-embedded professional learning to faculty members within districts and schools! Facilitated by CSRA RESA’s dynamite professional learning consultants, these “train the trainer” professional learning pathways will provide participants with a variety of research-based strategies and materials, as well as opportunities to discuss ways of facilitating the information within a district or school professional learning session. What is being offered for Instructional Coaches, Curriculum Directors, and Teacher Leaders? Receive FREE Registration to the Georgia Math Conference at Rock Eagle! One lucky teacher from each of the eight GCTM Regions will receive FREE registration to the 2017 GMC, October 18-20, 2017. Simply fill out the online form at www.gctm.org no later than October 1, 2017. The award committee will determine one recipient from each GCTM region. Recipients will be contacted at the email address provided on the form during the first week of October. The funds for this opportunity are made possible by donations from the Georgia Educational Representatives Association (GERA) to honor the memory of Daphne Loudermilk. The fine print: You must register for the GMC and pay your registration fee. The free registration is in the form of a registration fee reimbursement, which will be given at the GMC during a brief ceremony recognizing the recipients on Thursday evening, October 19, 2017. The free registration is not transferrable, nor can it be applied to registration for any other conference. Conference registrants must still purchase lodging and meals if they so choose; these purchases will not be reimbursed. Our first In-House PLC on Number Talks for Grades K-8 was a huge success. We had great participation from our districts. Participants were actively engaged in learning different strategies for numbers and operations that Number Talks emphasizes. Those attending seemed very enthusiastic about implementing this mathematically rich activity in their classrooms. Participants were even able to “Escape the Room”! Our next In-House PLC will be held on September 19, 2017. We will focus on using 3-Act Tasks, Estimation 180, Would You Rather?, and Open Middle to increase student engagement and rigor in the classroom. 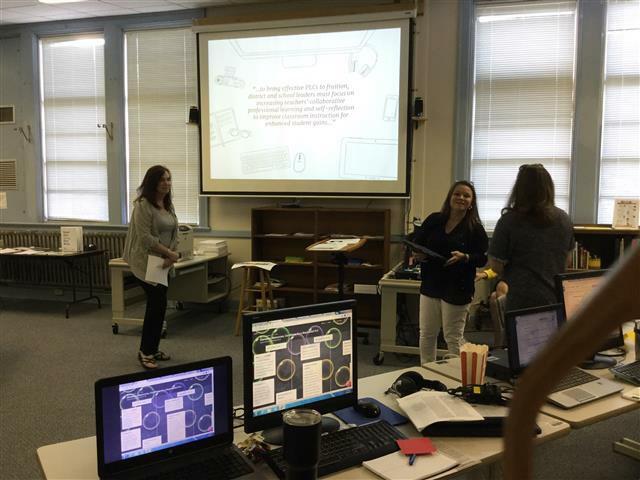 Selected K-3rd grade teachers from Glascock County, Rollins Elementary, Jamestown Elementary, and Jenkins Elementary have begun their journey as participants in the GOSA Growing Readers Grant. Mary Jo Kemp and Debbie Callan, co-facilitators of the grant, are excited about working with these enthusiastic teachers for the next two years. These schools will participate in four offsite professional development opportunities and receive monthly onsite/job-embedded support. 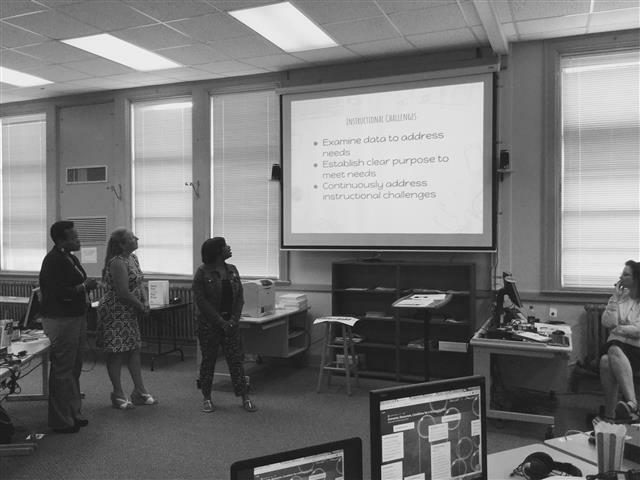 The administrators from these schools participated in a leadership workshop in August that will help pave the way for successful implementation. Selected K-3rd grade teachers from Burke, Emanuel, Warren, and Taliaferro previously participated in the grant; and their administrators, instructional coaches, and teacher leaders were invited to attend a Sustainability workshop in which they discussed ways that the Growing Readers grant can be sustained and scaled at their schools this year. The percentage of all students meeting GRP benchmarks grew by 46 percentage points from 11% at BOY to 57% at EOY. 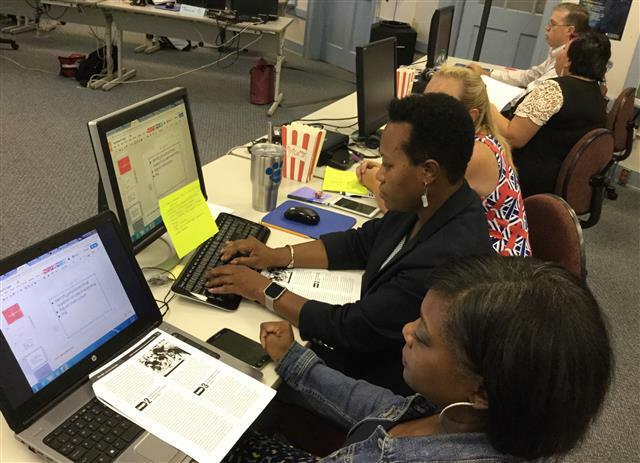 Administrators and teachers work on a "sustain and scale" project at a fall Growing Readers professional learning session held recently at CSRA RESA. 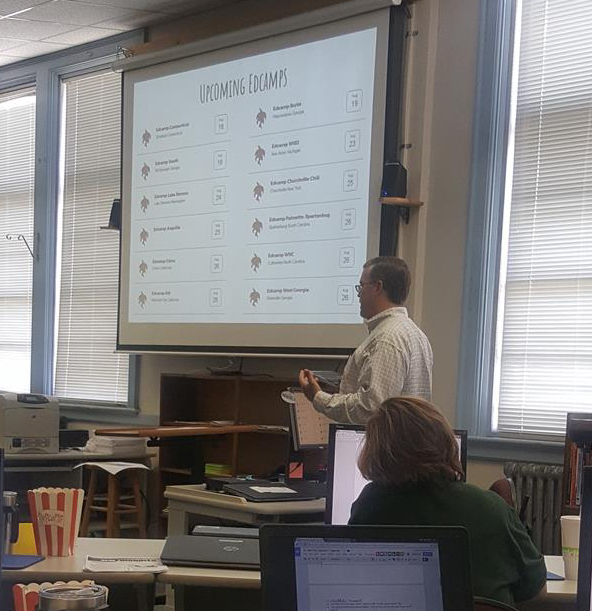 The Innovative Classrooms PLC members learn how to develop an effective PLC in their school and review resources to support technology integration in their building. The redesigned Teacher Resource Link is Georgia’s one-stop shop for teachers, with user-friendly search options and more than 28,000 resources categorized by grade-level standards. The new site features an Essential Toolkit for teachers along with curriculum maps, frameworks, glossaries, teacher guidance, and downloadable resources. Please note that there are resources for all grade levels, and we are excited to roll out the Essential Toolkit for K-5 ELA and math resources now. Further updates for other subjects and high school are currently in development. The new site features a cleaner design and a simple user interface, allowing you to build a “shopping cart” of downloadable resources to save, store, and share. You can sort by grade level and resource type, and new advanced search options make it easier to find documents. The redesigned TRL can be a powerful tool for your classroom, providing coherent instructional resources aligned with state standards. To access these resources, click on the “TRL” tab within the State Longitudinal Data System (SLDS). Click here for a printable flyer. If you are interested in support/training on the TRL platform, please contact Diane Griffin at dgriffin@csraresa.org.